Sometimes, even the most dedicated Londoner needs a fresh perspective. We’ve teamed up with SEAT, and their new seven-seater Tarraco SUV, to bring you some swoon-worthy UK getaways guaranteed to expand your horizons. Just jump in the car and before you know it you could be feasting on the daily catch or relaxing in a spa. What are you waiting for? For more tips on (delicious) UK getaways, check out these three spur-of-the-moment foodie pilgrimages from London. 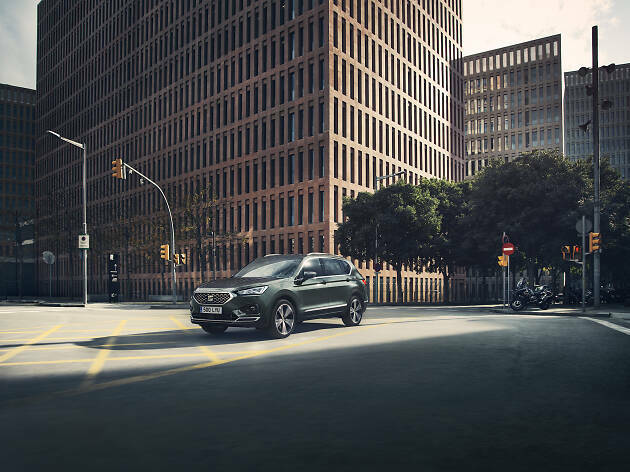 We're giving away an awesome weekend away in a new SEAT Tarraco! Here's how to enter. Why go? The seaside town of Whitstable on the Kent coast is as pretty as they come, with technicolour beach huts, a long stretch of shingle and pastel-painted shop fronts. Plus, it’s home to seriously fresh seafood. Do this: Set off along the surf for a walk along Tankerton Beach, before heading back into town. 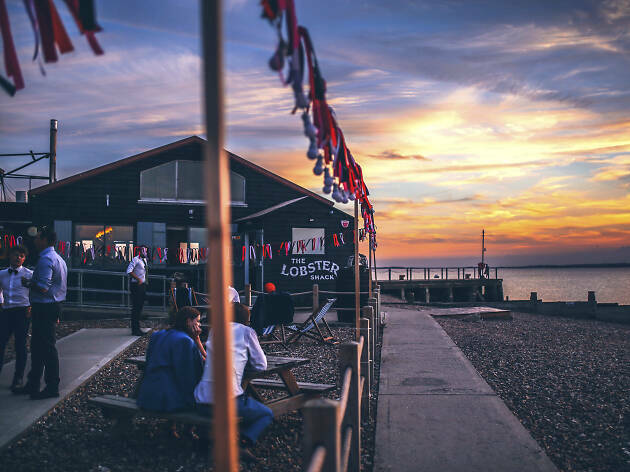 Warm up with a cuppa at Whitstable Castle’s tea rooms or wander the town’s pretty streets lined with indie shops and galleries. Pop into Fishslab Gallery for regularly changing exhibitions by local artists or Chappell Contemporary for modern prints at wallet-friendly prices. 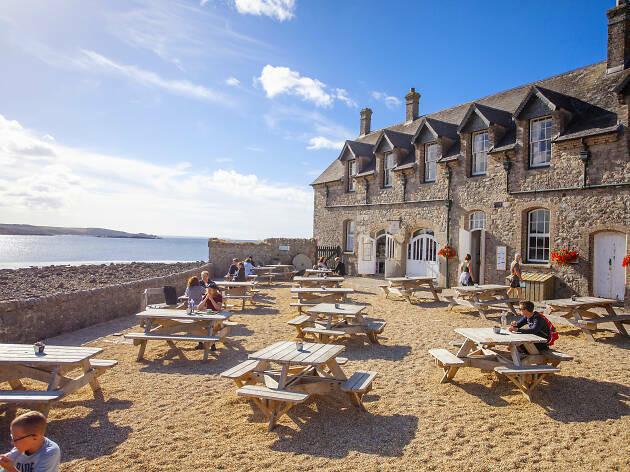 Eat this: Order butter-soaked lobster and piping hot chips from The Lobster Shack on the shingle, plates of sea-fresh oysters and locally-caught fish at The Royal Native Oyster Stores or classic fish and chips from The Forge, a simple shack on the beachfront. Feeling fancy? Head a little way out of town and see if you can nab a table at Michelin-starred The Sportsman in Seasalter. How far? 2 hours, 10 minutes. Why go? Honey-coloured Bath has been a drawing in visitors since the Roman times, thanks to the thermal spring which bubbles up under the city. 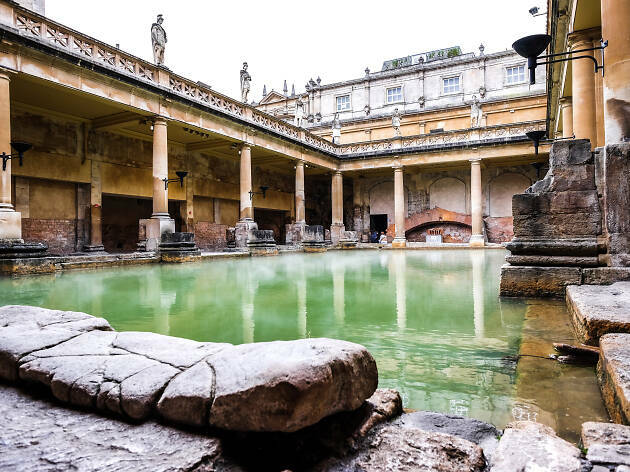 The Roman Baths aren’t for splashing about in these days but there are plenty of places to wallow in warm waters, as well as pretty parks and an indie high street. 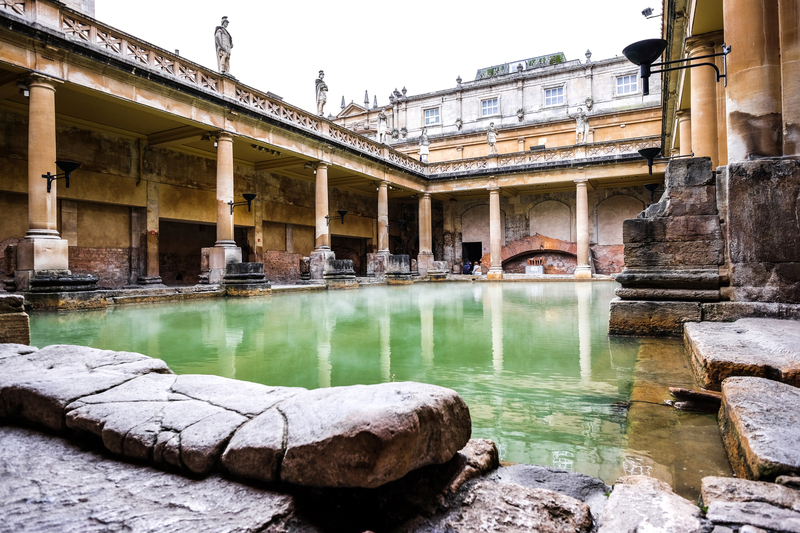 Do this: Soak up Bath’s fascinating history. 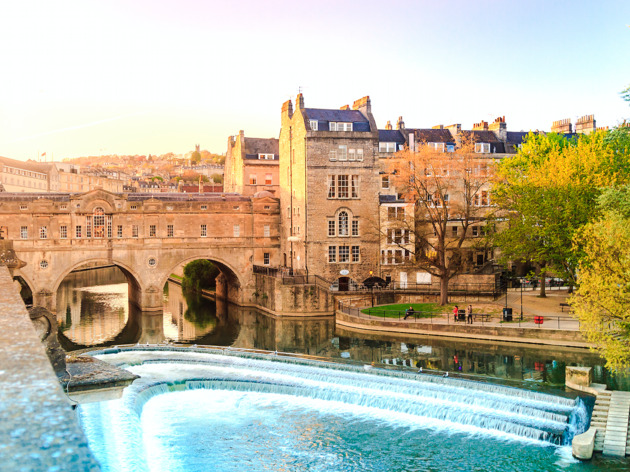 Stroll around Prior Park Landscape Garden, promenade along the architecturally impressive Royal Crescent, pop into the Jane Austen Centre and take in the ancient Roman Baths. 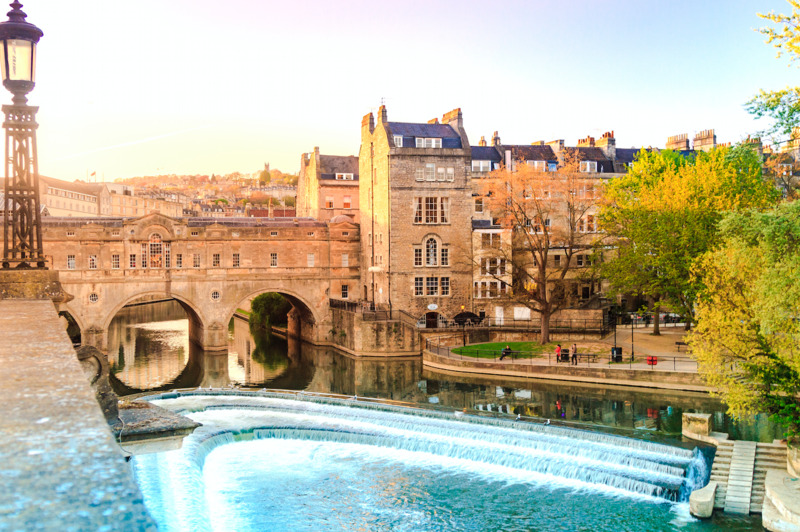 Then, enjoy the city’s more modern pursuits with a trip to the Thermae Bath Spa, which boasts a stunning rooftop pool and super-luxe facilities. Eat this: Head to one of the oldest houses in the city for a famous Bath bunn. Sally Lunn’s has been serving up sticky bunns for centuries. Like the vibe? Pop to the Pump Room for the kind of afternoon tea Jane Austen would have enjoyed. How far? 4 hours, 50 minutes to Penzance. Why go? There’s nowhere else quite like Cornwall, with its rugged, windswept coastline, surfers’ beaches and pretty ports. 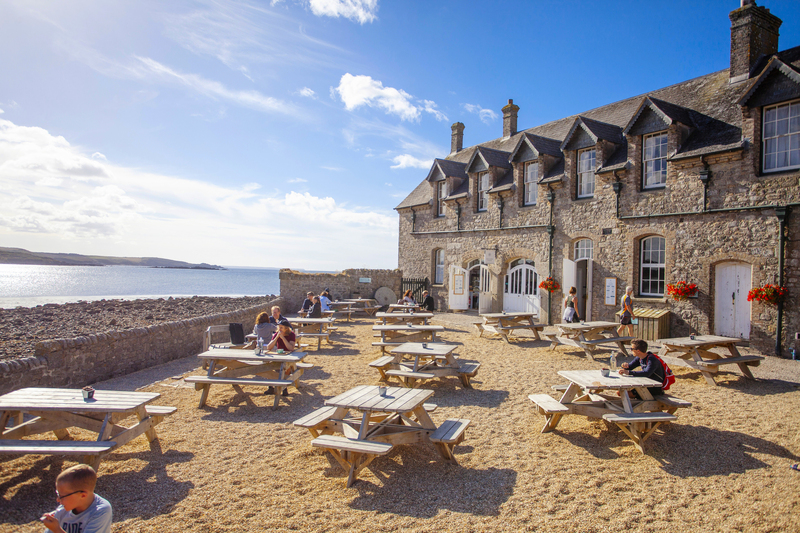 Spend a weekend here and you’ll discover quirky attractions, natural delights and creativity by the bucket (and spade) load. Do this: Discover the art Cornwall’s coastal light has inspired at Tate St Ives. Then try donning your walking boots and heading off along the coastal path towards Zennor, passing tiny hamlets and ancient stone monuments as you go, or riding the waves with St Ives Surf School on Porthmeor Beach. Jump back in the car and drive to Land’s End for awe-inspiring isolation before visiting the Minack Theatre, an open-air auditorium perched on the cliffs with the ocean as its backdrop. It’s stunning even if there isn’t a play on the day you visit. Eat this: You can’t visit this county without eating a traditional Cornish pasty. Grab one from tiny SH Ferrell & Son in St Ives. 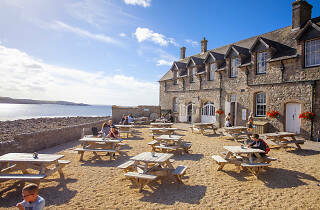 Feast on fresh crab sandwiches with an incredible view from the Island Cafe on St Michael’s Mount. And for sustainable and ethically sourced seafood, spend a dreamy evening at The Shore in Penzance, where the menu changes each day. Stay here: Cosy up in Artists Residence Penzance, where all the rooms are decked out with eclectic furniture, plush soft furnishings and fun, original artworks. Bag The Lookout for sea views, a log burner and a lush freestanding tub. Imagine this: a new, seven-seater SEAT Tarraco is delivered to your door. You and three friends drive to one of four spectacular locations of your choice – the Jurassic Coast, Bath and Bristol, Galloway Forest Park or the Lake District – and enjoy four days of amazing, curated experiences. To enter, all you need to do is tell us in 25 words or less: If you could drop everything right now, where would you go, and what would you do? No matter how long you've lived in the UK, we guarantee that you haven't explored all its best bits. Together with SEAT, we've put together a guide to some bucket-list locations that are perfect for a day trip or a weekend away.